So what happened? 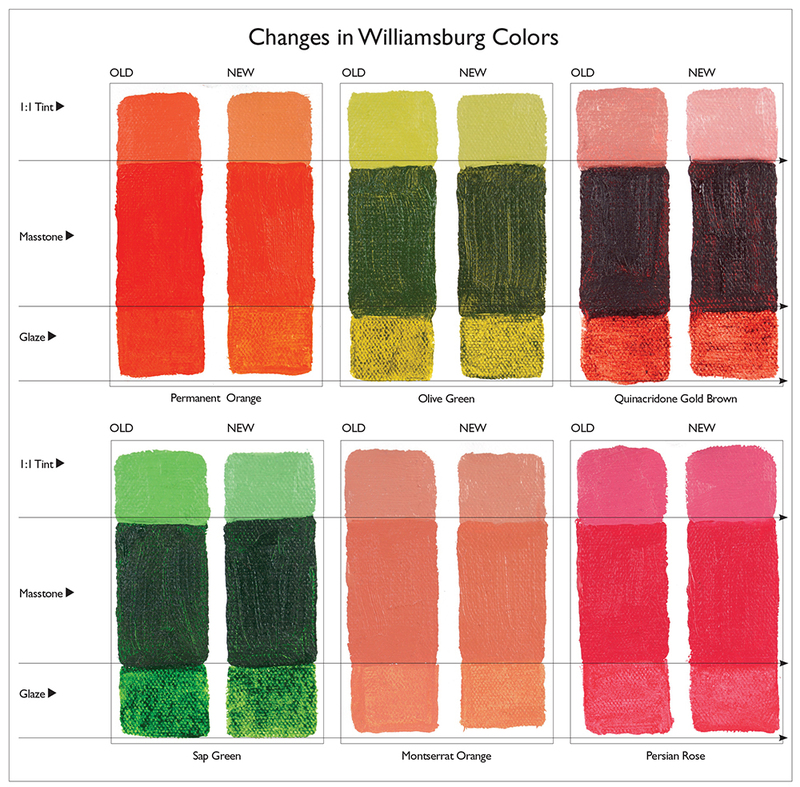 This is what we know: since 2010, when Golden acquired Williamsburg, we have been using the same lot of Italian Raw Sienna that we inherited with the rest of their inventory. Clearly marked, seemingly fine, there simply was never a reason to doubt that the color was anything but perfect . 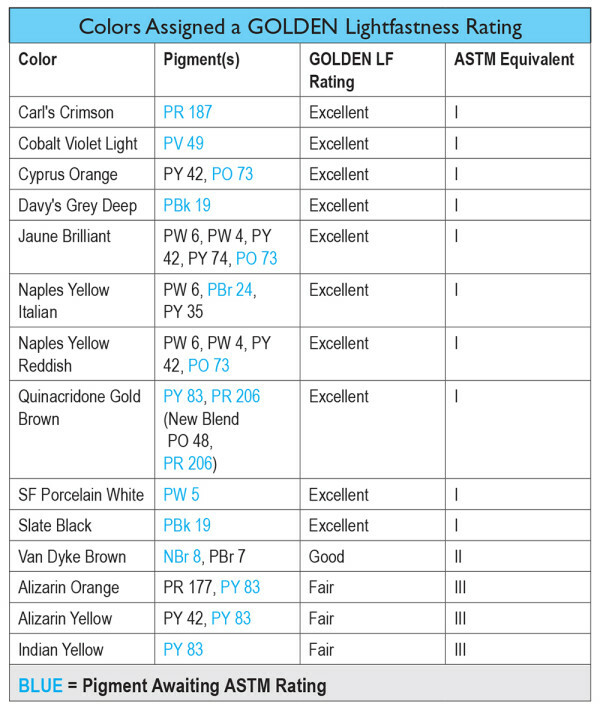 However, when we recently imported a new lot of the pigment, our quality control tests quickly noted a dramatic change in the color, which sent us on a forensic search of past history and master color swatches. As best as we can tell, at some point prior to 2010, the bags of pigment were either mislabeled or the color inadvertently shifted by the pigment supplier. Because the changes occurred sometime in the past, and were already in place when the original inventory was brought over, it simply had never been caught. Before now. At this point, of course, there is no way to undo or correct several years worth of production. That’s the bad news. The good news is that we are able to return this color back to where it belongs and keep it there. Which means if this happens to be a color you had used for years, but simply haven’t purchased in a long while, it will seem that nothing has changed. 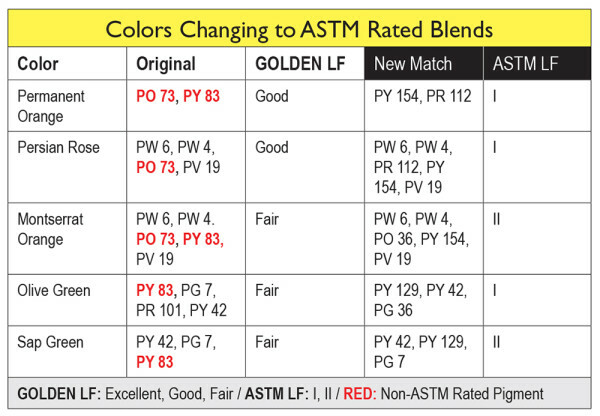 The new tubes of Italian Raw Sienna should have the same familiar warmer tone you are used to. However, if you recently got acquainted with this color, and the darker version has nestled itself comfortably into your palette, this ‘large jump’ will be something closer to a long leap, to say the least. But even for you there is a silver lining. As it turns out, the French Raw Sienna is nearly a twin, with a remarkably similar deeper tone and feel. Reach for that and you should feel right at home. If that is not available, two other options that are close but not perfect would be Brown Ochre, which has a notably greener/yellower cast, and Yellow Ochre Burnt, which is slightly lighter and redder in tone. Sometimes a change in a pigment’s supply brings with it a sense that something unique is being lost, but not always. Such is the case of our Bohemian Green Earth. This color always came as a unique blend from a particular manufacturer but over the years it had also drifted away from a warmer, mossy green into something decidedly cooler. When we learned we could no longer get this mix, and would need to match it ourselves, there was an opportunity to reexamine where the color had been and try to recapture some of that original color space. Below you can see where the color was some 15 years ago, where it has been recently, and finally our new blend that harkens back to the original. Because it can take awhile for a change like this to make its way out into the world, you will likely not see it in stores until early next Spring. When it does appear, we hope you will find this new blend to be a nice continuation of a color that has been a part of the Williamsburg palette for more than 15 years. And certainly always let us know what you think once you have tried it! Will Lead White Turn Black when Mixed with Cadmium Colors? This is a question that has come to us on several occasions, so wanted to take a moment to lay this concern to rest. Nearly all the known cases of lead turning black appear restricted to watercolor or fresco where exposure to sulphur is much easier and more common. 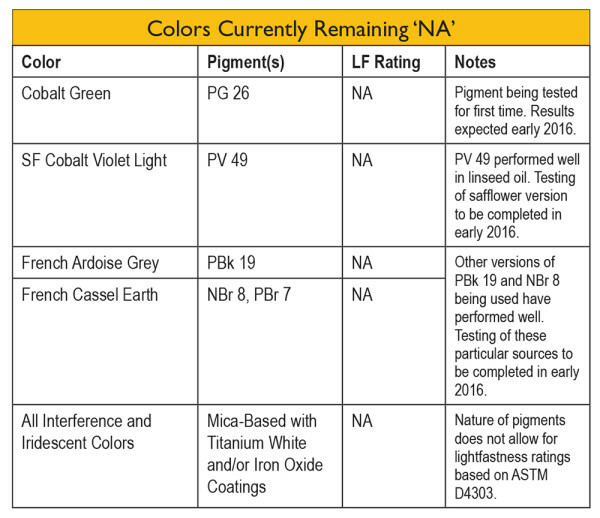 If nothing else, we hope the above will calm any concerns about the use of Lead Whites with the full range of colors on one’s palette, including Cadmiums, but if you still have any further questions about any of this, simply let us know. Well, some things in the 18th century are really best left in the 18th century. And I hope it goes without saying, don’t try this at home. Or anywhere else for that matter.